Take a deep breath; Dec 21, 2012 is behind us. The Mayan calendar end-of-world debacle is over: zip, zilch, gone! The silliness, anxiety and paranoia leading up to the predicted end of times was so bad that on Dec. 21st — the appointed doomsday — a worried citizen left a message on my office phone that accused me of skipping town to escape Armageddon. If history is any example, the next cosmic doomsday prediction is always right around the corner. The Mayan blowout was just the latest in many centuries of bad calls by prognosticators who have the audacity to think they can divine the End of Everything. So, to be a little preemptive, let’s look at just three cosmic events that might start another pop culture panic. Thankfully these aren’t born out of mythology, psychics and misinterpreted archeoastronomy. They are real events that will inevitably be embellished by the imaginations of modern day soothsayers. Last September, the International Scientific Optical Network (ISON) near Kislovodsk, Russia, discovered comet C/2012 S1 (ISON). 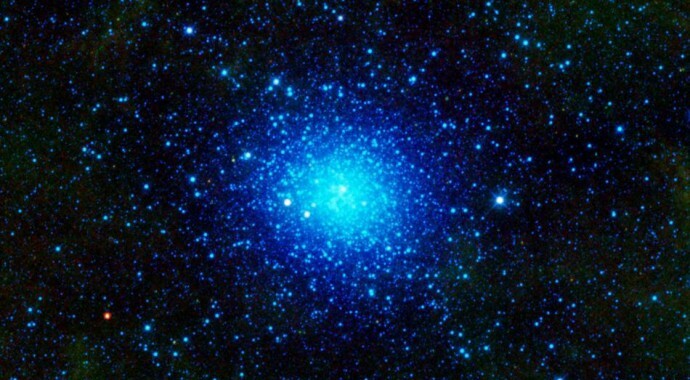 Though its closest approach to Earth is a year away, the celestial visitor is already billed as the “comet of the century.” That’s because it may be a first-time visitor to the solar system that will warm and then erupt with a lot of outgassing from pristine ices. SEE ALSO: New Comet Discovered — Will It Be Spectacular? On Nov. 28, 2013, the comet will skim above the sun’s surface at a distance slightly greater than the separation of the Earth and moon. Not doubt there will be pseudoscience predictions of the comet wreaking havoc by raising tides on the sun. The exact opposite will be the case. The sun’s tidal pull could tear apart the comet into small pieces, as has been the case for previous sungrazer-class comets. Comet ISON is due to pass within 37 million miles of Earth in January 2014. You can expect to see all types of outrageous claims that the object’s feeble gravity will yank on Earth to trigger volcanoes and earthquakes. Likewise, soothsayers will quickly note that the comet will be at it brightest one month before Christmas 2013. 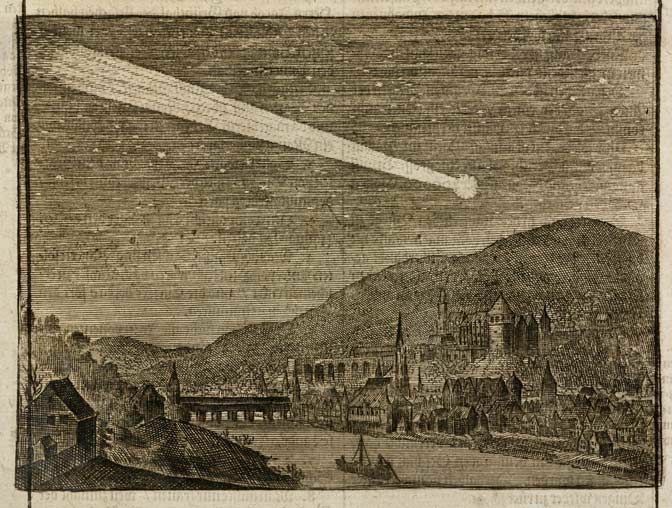 “This comet, if it lives up to its billing, certainly could point to the glorious soon coming of the Lord Jesus Christ from heaven!” predicts one religious website. The fact that the comet is anticipated to get as bright as the moon will only fuel religious and mystical speculation about its timing and significance as an omen. Chill out folks, it’s just another 4-billion-year-old primeval chunk of ice from the solar system’s deep freeze, the Oort cloud. NASA keeps cataloging more Earth-threatening asteroids every year. But the asteroid Apophis, named after the Egyptian spirit of evil and destruction, is legendary because it will be a record-breaker. 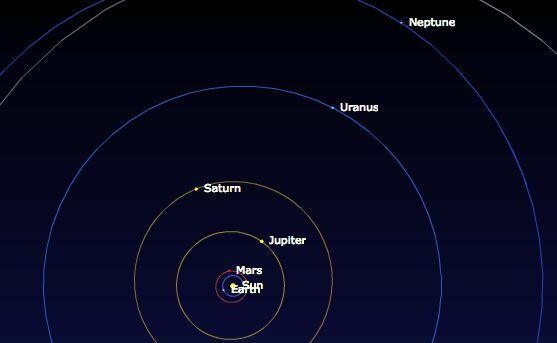 On April, Friday the 13th of 2029 Apophis will skim below the orbits of communication satellites and briefly be a naked-eye object scooting over the mid-Atlantic ocean. Earth’s gravity will deflect the comet’s trajectory. The worst-case scenario is that the chances of it striking Earth on its return on April 13, 2036 will increase to 1 in 5,500. Apophis is the length of over three football fields. It packs enough kinetic energy to wipe out 10 million people with the power of 100,000 Hiroshima-sized atomic bombs. Even in this worst-case scenario, a direct hit would not obliterate all life on the planet. But it certainly would not be a good day for the human race. People will get very squeamish over the possibility of Apophisgeddon despite the best low-probability collision estimate from astronomers. Parallels no doubt will be drawn to Biblical prophecy. This is especially true because the potentially destructive path of the asteroid crosses Middle East. South America and the west coast of Africa are also along the ground track. Congress might even debate if steps should be taken to deflect the asteroid. But given that so many legislators are tone-deaf to global warming, don’t expect any preemptive actions to be funded. Like clockwork so-called planetary grand alignments have taken place in 1962, 1982 and 2000. This does not mean that the planets line up like pearls on a string. But they sort of gang up on one side of the sun within an angle of roughly 10 to 30 degrees — so the definition is a but mushy. The uneventful year 1128 A.D. saw one of the tightest planetary alignments. The 1982 doomsday best-seller The Jupiter Effect spelled out an improbable chain of events that would be triggered by the planets’ tug-of-war with the sun: Tides raised on the sun’s surface would increase sunspot activity, build up the solar wind that would effect Earth’s weather, and subsequently, Earth’s spin rate, which would then trigger earthquakes. No geological disasters happened in 1982 short of a 6.0 magnitude earthquake that killed 1,500 people in Dhamar, northern Yemen. In fact the celestial alignment allowed for NASA to pull off the Voyager 2 “grand tour” of the four outer gas giant planets from 1979 to 1989. Jupiter contains more mass than all the other planets combined, and yet it is still less than 1% of the sun’s mass. Therefore Jupiter’s influence on the sun is inconsequential. Alien astronomers could measure Jupiter’s gravitational tug as an insignificant 270 mile-per-hour cyclic change in the sun’s radial velocity over the planet’s 12-year orbital period. Only if Jupiter was moved so close to the sun that its orbital period was measured in days, would some serious tidal effects be seen. This is observed with so-called “hot Jupiters,” the exoplanet WASP-18 being the most extreme case. Running an ephemeris forward in time, with the ease of throttling H.G. Wells’ time machine, the next closest thing to a grand alignment comes in 2163 (shown above). Unless we have bombed ourselves back to pre-Columbian society by then, people in 2163 will be too science savvy to give this any thought. They will be bemused by historical accounts of the feared Jupiter Effect by their science-illiterate ancestors. What’s ironic is that any casual surfing of the Internet shows that a lot of people are preoccupied with doom and gloom based on mythology, psychics and patently flaky ideas. The real Earth-threats, such as global warming, seem to be too easily shrugged off as lacking solid scientific evidence. Go figure.